The publisher gave us a choice of three awesome covers. It was a difficult decision, but we went with this one. Now all I have to do is get the book written. The book sold on a proposal, which was the exciting part. So was getting the first part of the advance. But the proposal only had one of the sixteen chapters, so I'm still writing the others. That's the hard part. So is the tight deadline. We wanted an October release to coincide with Domestic Violence Month, because many of the scenarios in the book are about relationships gone bad. Relationships that move from love to hate, or from friends to enemies. And when those relationships end, people can do all kinds of cruel things to get revenge. 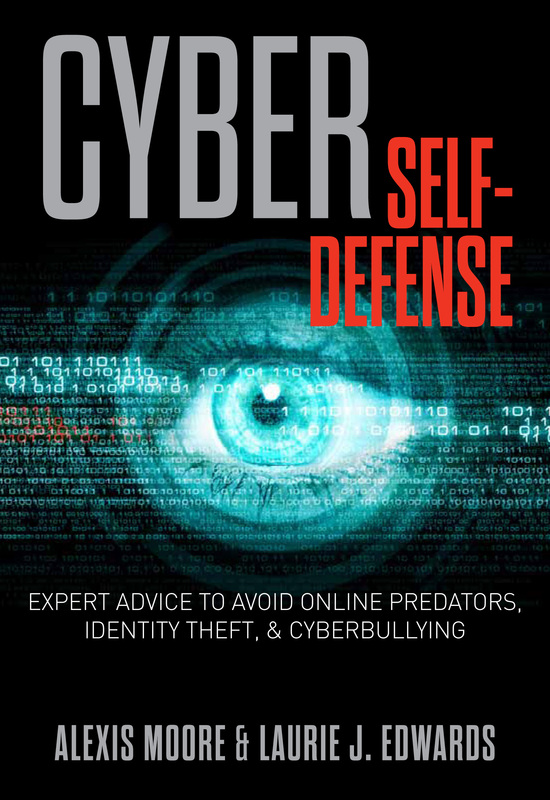 There are other scenarios in there too: teen bullies, coworker sabotage, and even cyber danger from strangers. But to make an October release meant only a few months to write the book. And even worse, I had two other book deadlines between January and March. So I've been writing and writing and writing. That's the not-so-glamorous part of being an author. Working when you'd rather be playing. Editing when you'd rather be reading. Researching when you'd rather be sleeping. So many people dream of being authors. They think it would be exciting to see their name on the cover of a book. And it certainly is. But most people don't think about the long hours of learning the craft, or of forcing yourself to write to make an approaching deadline, or of learning to take criticism so you can improve. I belong to an online group of writers who all hope to be published someday. Some have succeeded, but others are newbies or working hard to get there. In December when I mentioned a tight deadline for some articles I was writing, one wanna-be author wrote: "I could never write anything under that kind of pressure." I was tempted to write back that she should quit now, because if she reached her goal of getting an agent or editor, she'd find her whole life revolving around deadlines. Submission deadlines, editing deadlines, marketing deadlines... And if she sold more than one book, those deadlines might even overlap. Agents and editors don't want a one-book wonder. They want authors who will keep writing. Many authors sign a 2- or 3-book contract, which means even more deadlines, because usually book two is being written as book one is edited. Meanwhile book three is in the planning/outline stage. Once your book is accepted, there's no getting away from deadlines. So be sure that you really want to be published. If you can't handle deadlines and pressure, you can still write. Write for yourself, for your family, for magazines that take completed articles. Write blogs, write for pleasure, write when the muse strikes. All of these are valid ways to enjoy your passion. But when you long to see your byline on a book cover, be sure you understand the reality of getting to that point. Long hours of work and dedication to your craft. Participation in critique groups, attending writers conferences, submitting and getting rejected. And deadlines, deadlines, deadlines. If you're willing to endure all of that, then you have what it takes to succeed. You will get there.